It’s our job at Casino Player is to let the reader know what’s going on in the gambling world, and whenever possible to identify those casinos worthy of special attention. Our focus incorporates everything from the grandest of Las Vegas mega resorts and vintage properties, to new casinos, regional favorites, and hidden gems you may never have heard of. But no matter how dedicated our staff, we simply can’t be everywhere at once. And that’s where you come in. 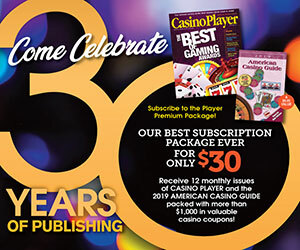 Every year, Casino Player magazine asks its readers to vote for their favorite casinos around the country and across an enormous range of categories. To your credit, year in and year out you’ve answered the call and crowned the winners for our special “Best Of” survey. Over the years we extended our reach to give readers the chance to vote on more than just the usual gambling topics. 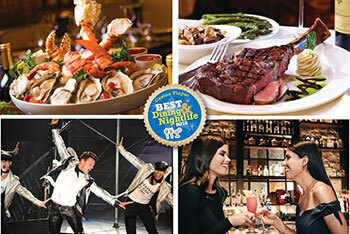 These “Best Of Dining & Nightlife” awards focus on categories beyond the slots and table games, awarding the best casinos in categories that range from steakhouses and buffets, to night clubs, shows, lounges and more—just about anything and everything other than gambling that makes the casino a true entertainment beacon. As with our other “Best Of” awards, this is when YOUR voices are heard by the entire casino industry. Some of the gaming properties will be thrilled with the results, and go on tout their achievements for the next year in advertisements, on billboards, on television, and more. Others will use the results to help better develop their properties, responding to your votes by creating even better casino options for future guests. 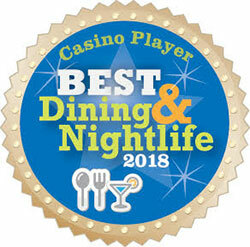 What follows are the results of your votes, your choices for this year’s best of the best in casino dining, entertainment and beyond. Use it to see where your favorite casino stands in the rankings, or to plan your next casino excursion—perhaps you’ll visit one of the winners for the first time and see for yourself what you’ve been missing. Congratulations to all of the winners for 2018! 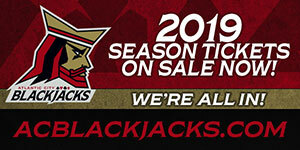 Click the links below to view all the winners!